Mid-South physicians are able to detect, diagnose and treat prostate cancer earlier and easier than ever before due to a recent explosion in technology and new therapies, according to several Mid-South physicians specializing in prostate cancer treatment. Advancements in the use magnetic resonance imaging, genomic testing and advanced therapies, in addition to the development of a comprehensive men's clinic at Regional One Health, are revolutionizing how physicians identify and treat prostate cancer in the Mid-South. "We are on the verge of becoming a center for excellence in the detection and treatment of prostate cancer," said Robert Wake, MD, urologist with UT Regional One Physicians and chairman of the Department of Urology at the University of Tennessee Health Science Center. "We are training medical residents in new procedures with new technology right here in Memphis." The MRI fusion biopsy procedure with ultrasound guidance is a new, innovative treatment that has become available in the Mid-South to assist in the detection of prostate cancer within the last year. The procedure blends multi-parametric prostate MRI images with a transrectal ultrasound (TRUS), which allows urologists to locate suspicious areas on the prostate and perform targeted biopsies. Merging the MRI images of the prostate with a TRUS helps to diagnosis prostate tumors that were previously missed using the traditional prostate biopsy technique in which most tumors could not be seen with the TRUS alone. Previously, urologists sampled quadrants of the prostate hoping to identify prostate cancer. "This procedure has revolutionized early detection of prostate cancer," Wake said. "Before MRI fusion, we performed more biopsies and there were sampling errors in some cases, or we would miss a tumor altogether because it was so small that we couldn't see it. Now we can look at all areas of the prostate and get targeted samples. There's no more random sampling because the MRI shows us the suspicious area so we know where to take the biopsy." 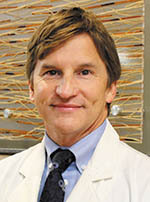 Wake and Mark Saslawsky, MD, chairman of urology at Baptist Memorial Health Care and medical director at UroCenter, an outpatient urology surgery center, are two Mid-South urologists who advocate the MRI fusion biopsy procedure for the detection and diagnosis of prostate cancer. "This procedure has been available in Memphis for only a year, so it's a recent development," Saslawsky said. He said the MRI fusion biopsy procedure with ultrasound guidance is performed after a patient has an initial traditional biopsy that produces a negative result, yet the patient has an elevated PSA level. A blood test measures the level of PSA in a man's blood. An elevated PSA level indicates a patient may have prostate cancer and a biopsy may be recommended. 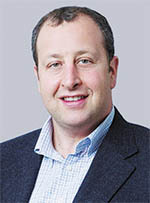 "MRI fusion is not done on the first biopsy," Saslawsky said. "Insurance coverage is an issue due to the expense, and it's time-consuming to coordinate." "Not every hospital can afford MRI fusion technology," Wake said. "It's expensive and you must have an experienced radiologist on hand who knows what to look for. Two years ago, insurance companies wouldn't pay for it. Now it's standard because it's so effective and patients are demanding it." Research indicates the procedure produces results. Researchers with the National Institutes of Health performed the MRI fusion biopsy procedure with ultrasound guidance on 1,000 men with an elevated PSA level or suspicious digital rectal exam results over a seven-year period. The team published results from its study in the Journal of the American Medical Association in 2015. The study found that 30 percent more high-risk prostate cancers were diagnosed with targeted MRI fusion biopsy with ultrasound guidance than with a standard biopsy. Prostate cancer is one of the most commonly diagnosed cancers among men in the United States. According to the American Cancer Society, 238,000 new cases are diagnosed each year. Wake has performed 45 MRI fusion biopsy procedures with ultrasound guidance since the procedure became available six months ago at Regional One Health's East Campus. Additionally, an experienced radiologist is on site, which Wake says is rare. The fifth floor houses a full-service urology practice, which is designed to evolve into a comprehensive men's healthcare clinic over the next three to five years. "With the framework set up at the East Campus, we are well on our way creating comprehensive men's health services," Wake said. He added that the next step is offering a new prostate cancer treatment called focal laser ablation at Regional One Health. Focal laser ablation is when a laser, assisted by real-time MRI guidance, is positioned within the prostate tumor and used to heat the area to a temperature that kills cancer cells. This procedure is performed on patients with localized prostate cancer. It can be performed as alternatives to surgery and radiation treatment, which can result in serious side effects such as erectile dysfunction and urinary incontinence. "Focal laser ablation is very new, and it's something we could bring to Memphis," Wake said. In addition to innovative treatments, local experts say there have been advancements in genomic testing for patients with low-risk prostate cancer. Genomic testing looks at the activity of certain genes in the prostate tumor and assigns a Genomic Prostate Score to each case that is personalized to each patient. 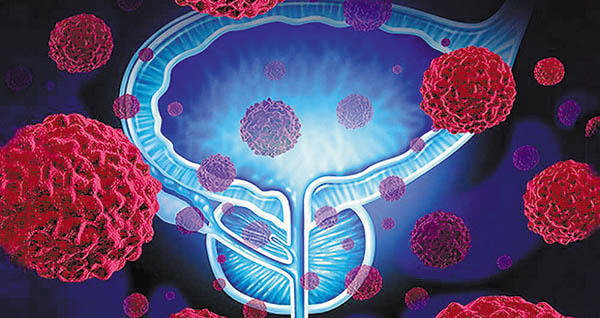 The test is performed on cancerous tissue taken from the prostate in order to provide information on how a patient's prostate cancer might behave in the future. 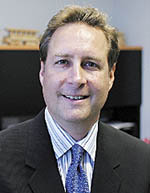 "Before we were just getting a negative or positive result," Saslawsky said. "Now we can get more information in order to make a better evaluation on how aggressive a cancer is and how likely it is to cause future problems." Wake said, "We can look at the genetic markers in the tissue to determine how it might advance in 10 to 15 years. The more data we have, the better we can decide on how to treat it." According to Brad Somer, MD, an oncologist at West Cancer Center, there have been recent advancements in the treatment of metastatic prostate cancer that can prolong a patient's survival. Metastatic prostate cancer is when the cancer has spread from the prostate to other parts of the patient's body. "There has been a recent wave of advancements in immunotherapy, nuclear medicine agents and gene alternation," Somer said. Immunotherapy is a treatment in which a patient's blood cells are altered and then reinfused into the patient to attack cancer cells. An example of a nuclear medicine agent is targeted radionuclide therapy, which is when a radioactive drug is injected into a patient's bloodstream and destroys cancer cells. Prostate cancer is a genetic disease that is characterized by multiple genomic alterations. Somer said there are medical trials underway in which gene alterations, combined with a class of medications, could prolong a patient's survival. Wake agrees that advancements in the field give physicians more information and access to easier detection and better treatment. "MRI technology is getting better and is rapidly changing," he said. "One day we may not have to perform a biopsy at all. There may be a better way."